Edit music yourself with this super program. Edit your music yourself with the professional program Audacity. Do you have a dream of making music, but you do not want to pay the thousands of dollars that the music editing programs cost, then you should clearly read with here. Here on the page you can download the very popular Audacity completely and completely for free. This is not a demo or trial version of the program - this is the program in its full form. This gives you absolutely free tools to record, mix and edit your music. With Audacity you can of course record your own music. The program includes a lot of help features that make it easy for you to record sounds and songs. 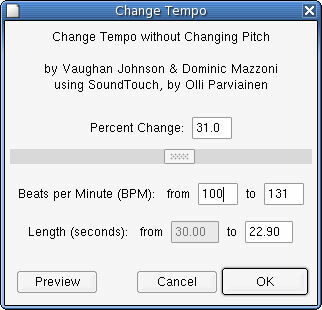 The program clearly shows you everything you need, such as the timer, which shows when a recording starts and ends. Of course, you can also play music through the program, so you can hear your own music or others you've added to the program. 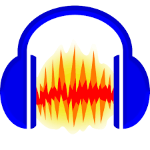 Audacity supports audio files in WAV, AIFF and MP3 formats as well as many more. The program gives you a lot of tools to take your music to the next level. You can change everything you want in the sound pitch and all other parts of the sound, as well as add effects such as Bass Boost, which as the name indicates the booster bass, which is the perfect tool for you, for example, making hip hop or house music. Another effect that you can certainly benefit greatly from is noise removal. This is perfect for those who record music and poetry at home or elsewhere where unwanted noise can penetrate into the footage. This noise can be minimized with noise removal, giving you a much cleaner and more professional sound. Of course, you can also mix different songs and sounds together. Thus, you can combine two songs that you probably know as a remix. 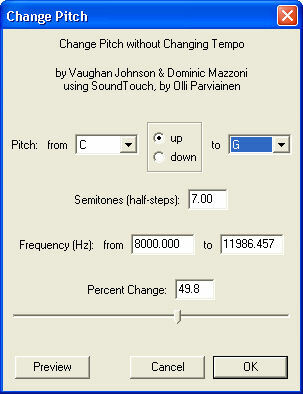 You can also sample parts of a song to use it in your own song. If you find a piece of a song you want to use, in Audacity you can cut it out of the original song and add it to your own. Of course, one must pay attention to the copyright law. Audacity's layout is very classic in appearance, but can also be changed if you want a different look. The many bright colors can for instance be tough for the eyes for longer periods, and here one can advantageously choose another theme which is, for example, of darker character, which is an advantage to the eyes. Audacity has four built-in themes that the user can freely choose from. You do not have to search and download themes from all possible websites, but instead simply choose your favorite theme from the four available themes in the program settings. Besides the possibility of changing the program's theme, a lot of other things are also done so that you, as a user, get the most out of Audacity. The program can be used in 36 different languages, of which Danish is of course one of them. In addition, you can also download an easy-to-read guide to using the program, which will help you in the way of all the program's possibilities. However, this guide is not essential to download, as the program is generally very simple to navigate in. The developers behind have clearly attempted to create a music editing program that should be useful to people who do not already have one thorough knowledge of music production. This is also a great program for you if you have not previously tried to create music, as you can easily go to the program and its options, and find help in the guide, if you come across something you doubt. 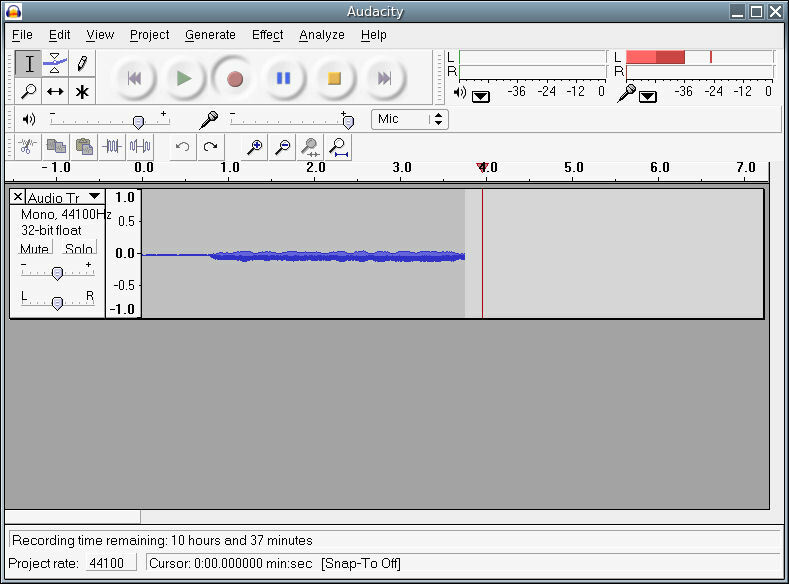 Audacity is available for both Windows, Mac and Linux. However, the version you can download here on the site is reserved for users of Windows operating systems. If you are a Mac user, you can read more about the program for Mac and download it by following this link. However, if you are a Linux user and you want to download Audacity, the program can often be found elsewhere on the Internet. A quick Google search should be able to get you on the right track. Audacity is, of course, not the only music editor on the market. What sets the program apart, however, is that it is free to download and use. If you want to watch a few other programs before you decide, or do you just think that Audacity is for you, you can also take a look at FL Studio. This is one of the world's most popular music production and editing programs. However, FL Studio is not free to use, but fortunately you can try it out for a period without having to pay a single penny. On this page you can download a free demo version of the program for free, while also finding more information about the program and its options. Another alternative to Audacity and FL Studio is AV Music Morpher Gold, which can also be downloaded in a trial version. With this you can not only edit music, but also add sound, voices and music to for example movies. You will find AV Music Morpher Gold by following this link, where you can read more about the program and download it. 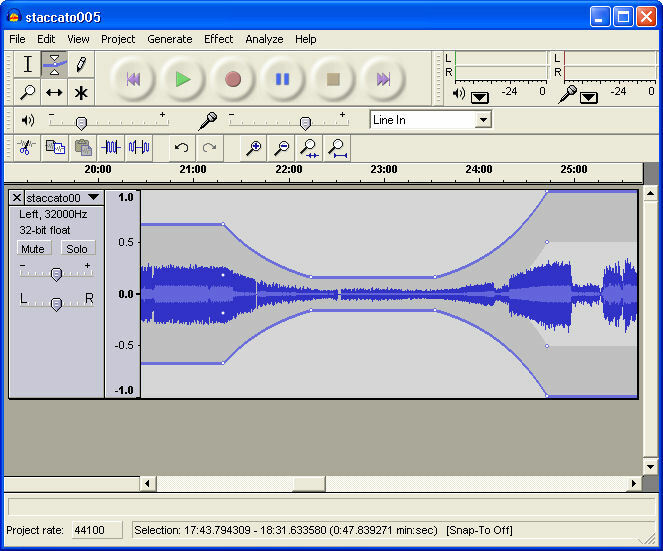 Audacity is a very popular editing program for recording and editing music. The program has existed since 2000, after which it has been constantly updated. It is completely free to download and use, which makes it very interesting for those of us who cannot afford or want to pay thousands of dollars to start producing music. The program is extremely user-friendly, which means everyone can join. Despite this ease of use, the developers behind the program have still developed a guide that you can find answers to everything in. This is just to download and install the program, and then start the dream of making music. Audacity is available for both Windows and Mac, but the edition here is for Windows only. If you want to download Audacity for Mac, you will find a link to this higher up the page. You will also find links to FL Studio and AV Music Morpher Gold, which are also music editing programs that you can take a look at. Find Audacity, mark it and choose "Uninstall"
Should Audacity has been damaged or corrupted and thereby difficult to remove we can recommend you finding help to uninstall it here.